Col. Donald J. Delaney, USA, "The Catlin Portrait of General Leavenworth," p. 345. Ramon Powers and Gene Younger, "Cholera on the Plains: The Epidemic of 1867," p. 351. Bypaths of Kansas History, page 441. Kansas History as Reported in the Press, page 443. Volume 37 Index, page . A portrait of Brig. 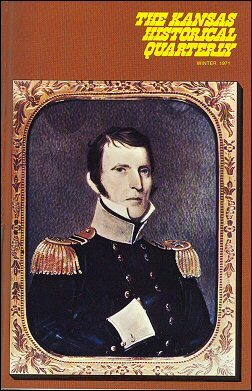 Gen. Henry Leavenworth painted in miniature (2 7/8 inches by 3 1/2 inches) by George Catlin at Fort Gibson, Indian territory, in 1834 (see p. 345). It is reproduced here, courtesy of the Fort Leavenworth museum.